ARM microprocessors power virtually all mobile devices: iPhone, iPods, iPads, Blackberry's, Android, etc. So our research was into developing techniques for "Advanced Exploitation" on ARM based systems. Our research catalogs ways to use the nuances of the ARM architecture itself to subvert modern OS security protection mechanisms. This research received recognition at ARM TechCon 2012, one of the largest semi-conductor expos in the world and NPR also featured this research. Hardware is a mystery to most software developers. Surprisingly, it is also equally mystifying to software security professionals who themselves tend to deal in the "lower level" aspects of software and operating system inner workings. This talk is mostly memoirs of a software security professional's first forays (and surprising successes) with exploring and finding vulnerabilities in embedded systems. The hope is to demystify (somewhat) hardware security research. Video, slides, and blogpost about this talk is here. This talk followed months of research in to software sandboxing technologies and their vulnerabilities. It was the first talk of its kind following the (then) recent release of the Chrome sandbox which is still regarded as the defacto standard for software sandboxing on Microsoft Operating Systems. Slides and the tool released with this talk have a dedicated page here. Why does email spam look the way it does? It's not just gobbledy-gook, most of it looks that way for a reason. This talk explains why. It provides a rare peek into the algorithms and surprisingly sophisticated software spammers use to evade filtering, defeat captchas, and automate the distribution of spam to thousands of the most popular sites on the web. Finally, as a Proof-Of-Concept, we also developed our own "spinner" that used Natural Language Processing and Neural Classifiers (Mahalanobis Distance Statistic) to evade the filters used by Google and other search engines. This talk discussed some very simple techniques employed to explore a bit of the world of Android malware. After years of privately developing fuzzers and performing protocol replication, Stephen A. Ridley and Colin Delaney of McAfee discussed (for the first time publicly) the fuzzing language they developed. The language sat on top of a fuzzing framework they also developed. The language was designed to be a simple way to rapidly build extensible test suites for any protocol without needing to learn the complexities of objects and classes used in fuzzing frameworks. Slides (in japanese and english) are here. This talk discusses using Ruby for security research (which is mostly dominated by Python). The talk is mostly memoirs of a Python coder's foray into Ruby and provides some compelling uses for Ruby (over Python) for security research in simple and easy code patterns. 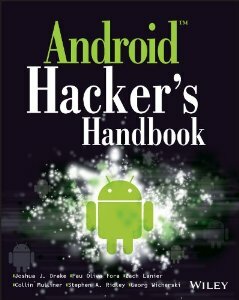 Stephen A. Ridley, Principal at Xipiter was a co-author of the "Android Hacker's Handbook" from Wiley & Sons publishing.